This post got the dreaded TL; DR on Reddit - but at least "they" acknowledged it was useful. 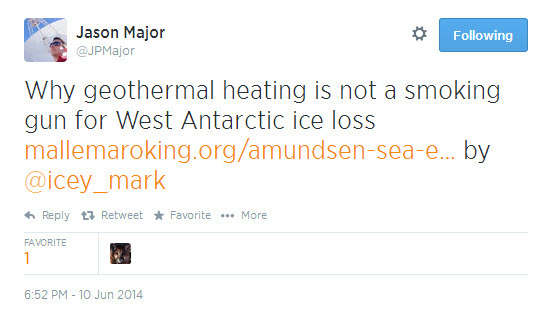 Since it takes someone else to pick out the value in your work I offer this tweet from Jason Major. 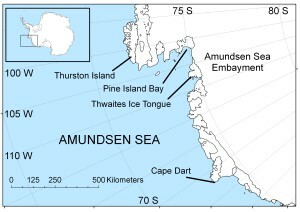 A significant area of Antarctic glaciological interest is the West Antarctic Ice Sheet (WAIS) and where it discharges into the Amundsen Sea Embayment. It is a research focus (e.g. 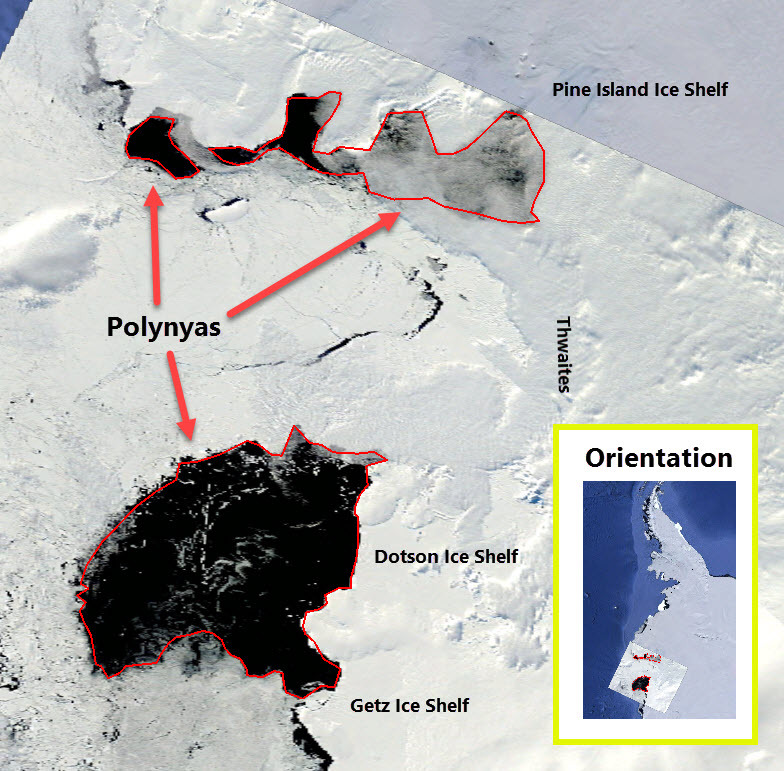 iSTAR) because it is the region where the glacier ice is melting very rapidly. 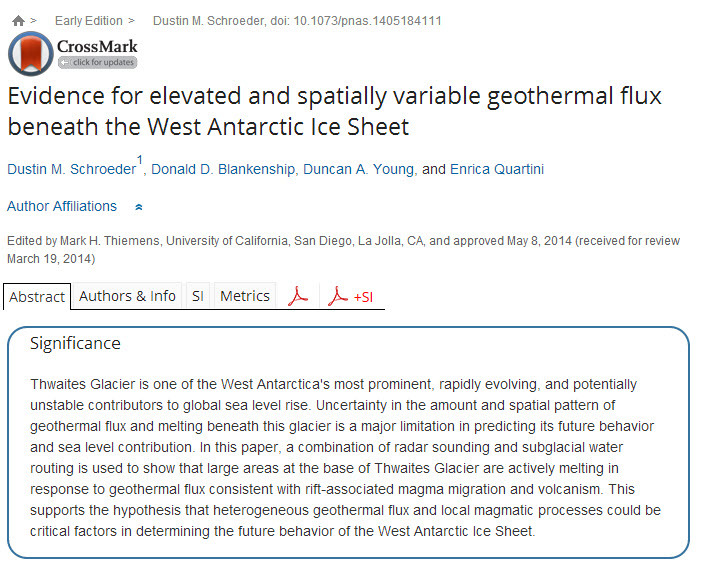 A great research article by Dustin Schroeder (The University of Texas at Austin) has just been published in PNAS which presents evidence for the geothermal heat flux beneath the Thwaites Glacier. Posted in Science. 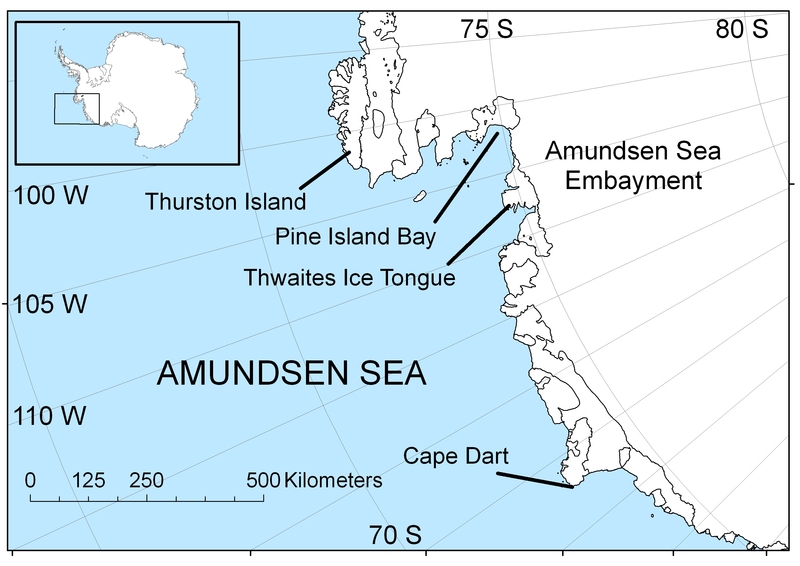 Tags: Amundsen Sea Embayment, antarctica, Pine Isand, Thwaites, WAIS, West Antarctic Ice Sheet on June 10, 2014 by Mark Brandon.